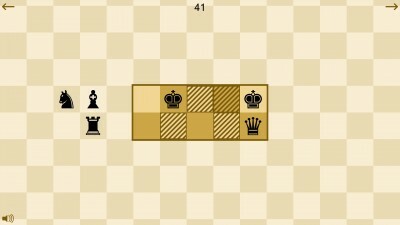 Minimalist logic puzzle game based on chess. You must place the chess pieces on the board such that every piece is protected exactly once. 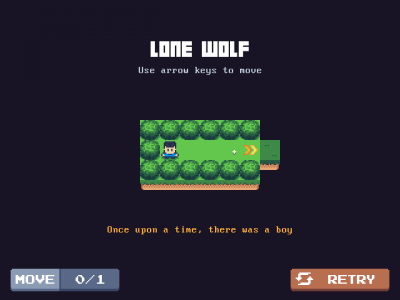 Retro-style RPG pixel adventure. You can make your decisions but you aren't judged for them, while interacting with characters on a deeper level. 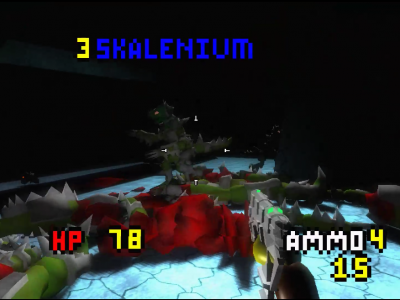 FPS where you need retrieve all skalenium crystals from reptiles. A short story-based puzzle game. 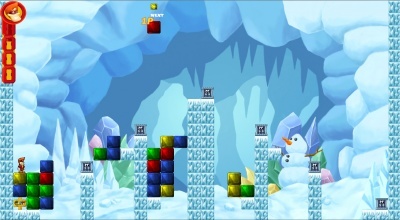 Puzzle platformer in which you use coloured blocks to build pathways around each level to free the Jollyfolk from their cages. Simultaneously control both building blocks and heroes, with a friend or by yourself, in this colourful romp through a cartoony and exotic hand-painted world. It's the year 2020 and the Hangul Aliens have invaded the planet. Fortunately for us, they have a weakness - the modern Korean keyboard. Can you save earth from disaster? 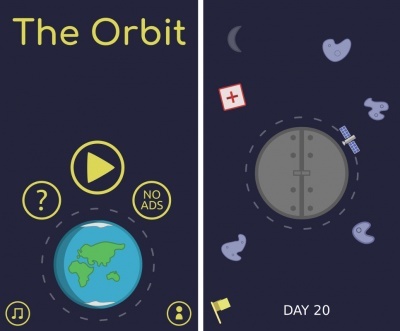 A casual space-themed mobile game. Not your parent's BreakOut. This one is fast. It’s going to give you anxiety. Balanced for precise game play but does forgive to keep it fun. Interesting aspects include Screen Shake, shadow and shadow occlusion, particles, wall dust explosions, sound effects, etc. 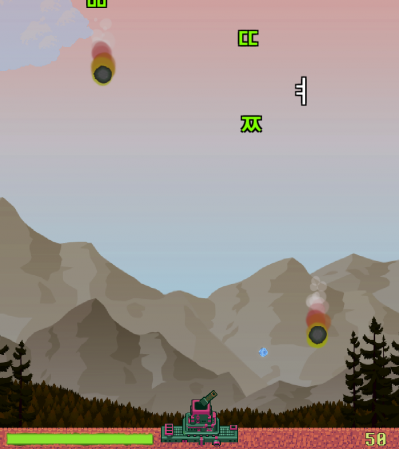 Help Bubble steer through tricky corners by using the accelerometer to move it. 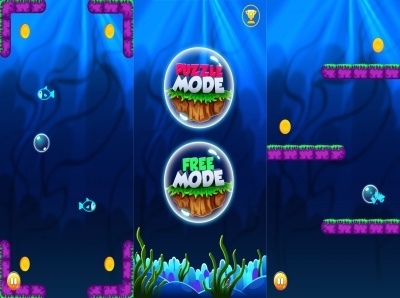 Play 'Puzzle Mode' where you have to collect all coins to go to the next level or 'Free Mode' which is an endless underwater runner game. 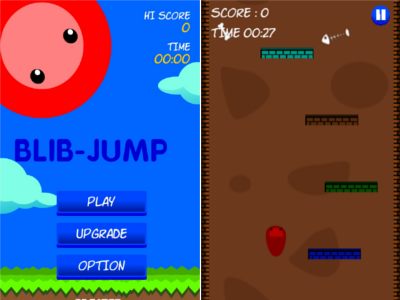 Run and jump as far as you can while avoiding obstacles and collecting crystals along the way! Avoid the faster gears that can break you. That's the rule! 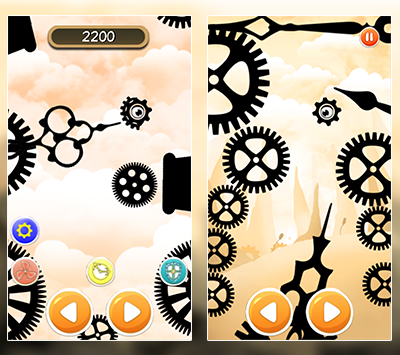 Use your skills to figure out the best way to avoid being broken, then use your concentration and motor coordination to put your strategies into practice and rule the gears in this challenging game!